There are several fake artist accounts out there on social media created by people who have nothing better to do than sit at a computer and pretend to be someone else, either to get your attention or even worse, to steal your personal information. Granted some fans set up pages to try to help promote an artist and can come across like they're pretending to be that person by copying and pasting everything that the artist posts and sharing the same photos too. Those people just don't know how to set up and run a proper fan page. If the posts on a page are identical to an official artist page, stick with the official page and leave the "fan" page alone. Before "liking" an artist page, do your research and make sure you're giving your attention and promoting the real account. 1.) 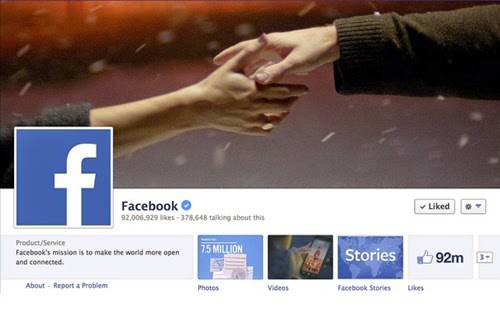 Most bigger names and some newer names will be officially verified by Facebook and Twitter by a blue check mark. If there is no blue check mark, this is a HUGE red flag that chances are the person you're hoping to connect with and telling other people to connect with is not who you think it is. More times than not, the real account will have this to alert you that it's been verified by the website's security and that it IS the right person. 2.) Most official artist websites will have a link to their official social media pages right on the home page. If you click the social site button and it takes you to a page different than the one you thought was the right one, that's a surefire sign you've been duped. Unlike or unfollow the imposter and move over to the page the artist's website refers you to. 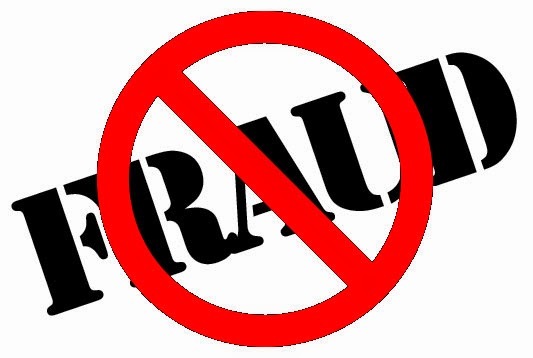 Report the fraudulent account to Twitter, FB or Instagram. (Whichever site you find the page on). 3.) An official artist page will NEVER request money and will NEVER send you private messages with questionable content such as requests for money or involving content of a sexual nature. NEVER give these people ANY personal information such as phone numbers, email addresses or physical addresses and NEVER agree to meet them. 4.) Some of these people are trying to manipulate you into believing the artist wants to be your friend when all they're really after is either to simply play mind games or to set you up for theft of money, passwords, and other personal information. 5.) Read their profile or timeline. Do any of the posts seem oddly worded or like something your favorite artist would say? If you're a long time fan, you'll know how this person typically posts and their way of doing so. 6.) Be aware of inconsistencies in their posts. Look for contradictions or things you know aren't factual. 7.) Most on Twitter will constantly RT things that the celebrity they are trying to impersonate are tweeting. Rarely do they have a genuine tweet from the fake account. 8.) Pay attention to their use of grammar. A lot of fake accounts honestly sound like idiots. They don't communicate proper English and they more than likely won't use foul language. 9.) Misspellings of Names: Most artists know how to spell their own names. Garth doesn't speell Brooks as "Brroks" or "Brrooks", Mark Wills doesn't spell his name as "Willz". Notice the example below: Jake Owen won't have his twitter account as @jjakeowen and even his Instagram is misspelled. He also follows no one and only has 20 followers. 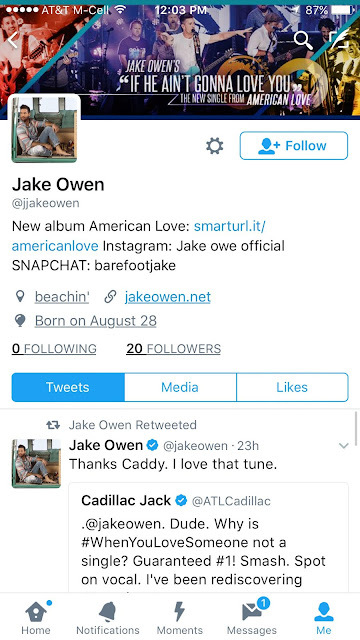 The real Jake Owen Twitter account has over 2 million followers. Just pay attention to the not so obvious. 10.) Most fake accounts will only have press photos, album covers, etc and will only have a couple of them, not albums. These accounts are growing more and more by the day and more artists are having problems with them so please be on the lookout for any others and not only let the artist or their management know about the page you have seen, but block it and report it as being a suspected fraud account. Never be afraid to report a suspicious page. In addition to protecting the artist, you're protecting yourself and other fans. It's better to be careful and wrong than get caught in their game and find yourself the victim of a potentially dangerous mind game that could result in identity theft, financial ruin or worse. Just be smart. Don't be the fan that gets taken for a fool. No celebrity connection is worth that. Thanks for helping keep an eye out for these and doing what you can to close them down. They can be harmful to you and you not even realize it until the damage is done. Just use your best judgement and don't be so quick to "like" a page or respond to someone that raises your eyebrow with doubt. Rodney Atkins and Jimmy Wayne have also had impostor problems as well. Yes, there have been a ton of them after this article was first written last year - Garth Brooks, Craig Campbell, James Wesley, Kip Moore, Clay Walker, Cowboy Troy, Joe Diffie, and so many others to name.